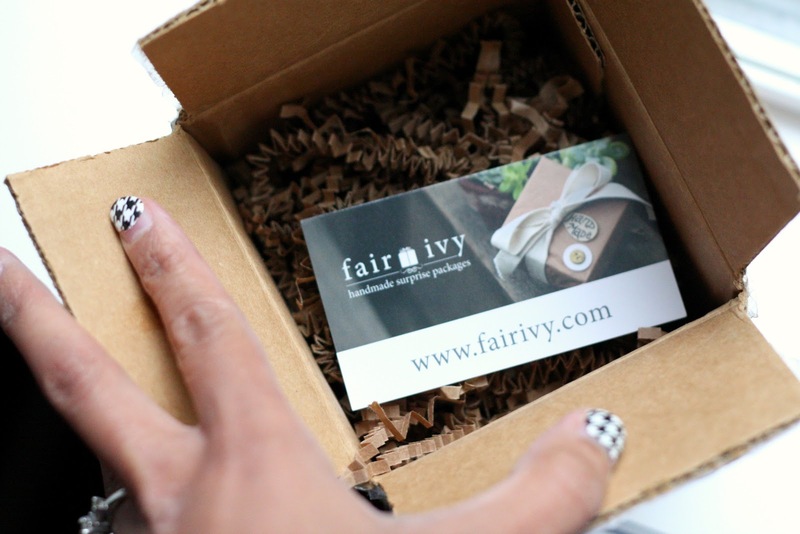 much love, illy: good things come in small packages // Fair Ivy. who doesn't love packages in the mail or presents - especially during this time of the year?! 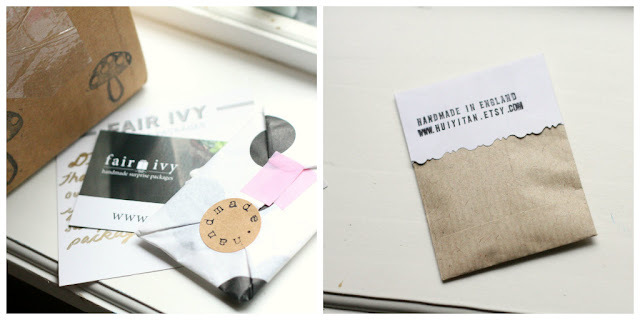 i received this extra special sample package from my friends at Fair Ivy, a fabulous company where you can subscribe to receive 2-4 unique handmade gifts to arrive in your mailbox every month! what i think is so fun about Fair Ivy is that you support handmade, you will never receive the same product more than once, and everything is so beautifully wrapped! i am completely in love with my surprise package which included this dainty (yet sturdy) handmade necklace by huiyitan. 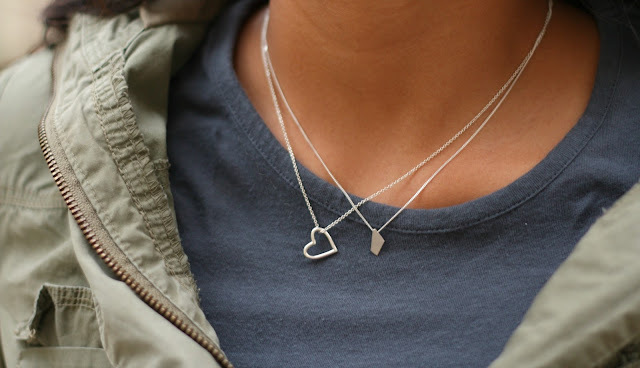 it makes the perfect layering piece if you are a fan of dainty necklaces like me! 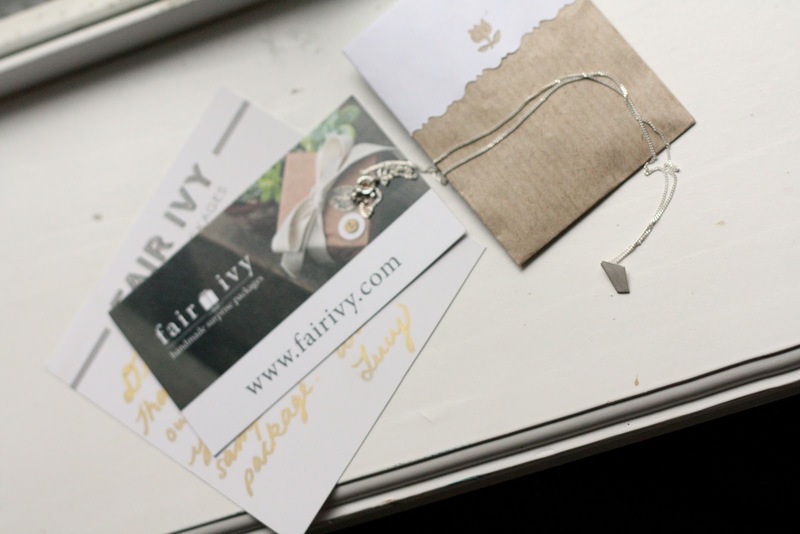 and i think that Fair Ivy makes a wonderful Christmas present for yourself or for a friend because it's a gift that keeps going and going even into the new year! p.s. are you Eva (#63) 'cause you just won the Vintage Urban Renewal giveaway! shoot me an email at muchloveilly at gmail dot com to claim your prize! if i do not hear from the winner by the end of the week, i will redraw. congrats to Eva and thank YOU, Vintage Urban Renewal for a fantastic giveaway! Sounds like a great gift for my hard to shop for mom. LOVE that necklace!! So cute! I love how tiny + dainty it is!!! ooo i love how you layered those necklaces!!! too cute!! Such a beautiful pieces:) I love understated jewelry:) Kisses, sweetie. I love this necklace, so pretty and dainty! I love your blog and I am now following you!